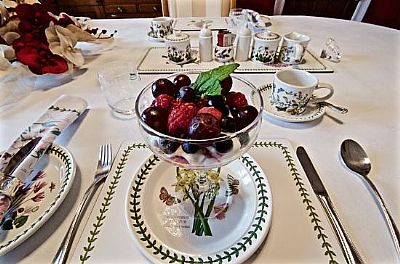 Muirholm Bed and Breakfast situated in the town of Paisley offers deluxe accommodation, delicious breakfasts and friendly hospitality in a quiet residential area very close to the Royal Alexandra Hospital, University of the West of Scotland and a short drive to Glasgow Airport. Glasgow city centre is only about 8 miles away and we have frequent train and buses going into the city. 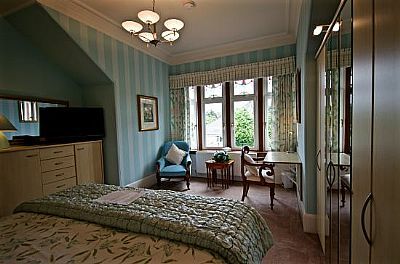 Muirholm has all the amenities that you would expect in a 5 star establishment with super king beds in most rooms and all rooms are en suite. 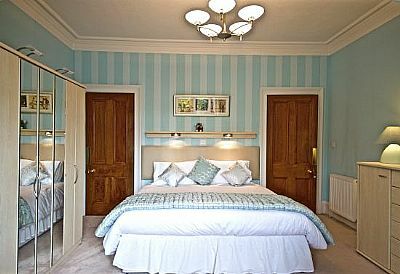 Hairdryers and dressing gowns are provided as well as slippers. All rooms have a large digital television and digital radio with docking station for your convenience. Luxury complimentary toiletries are provided as well as generous hospitality trays. Free Wi Fi in all rooms. Parking available in our own grounds. Muirholm is a detached, red sandstone, Victorian villa built at the end of the nineteenth century by the Coats family, who were the main cotton and thread manufacturers in Scotland. Many of the finest buildings in Paisley were commissioned by this famous family. 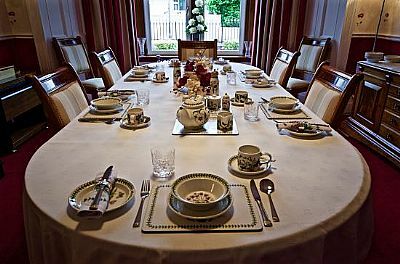 Muirholm is an accredited 5 star B&B from VisitScotland. visit our famous Paisley Abbey. Go to Ayrshire for the day - a lovely run down to 'Burns' Country'. Go into Glasgow on the train only 15 minutes. Go into Glasgow to take a tour on the Tourist Bus and see the city. Go to Stirling only 30 minutes on the train from Glasgow. Go to Edinburgh 45 minutes on the train from Glasgow. Free internet access is provided.